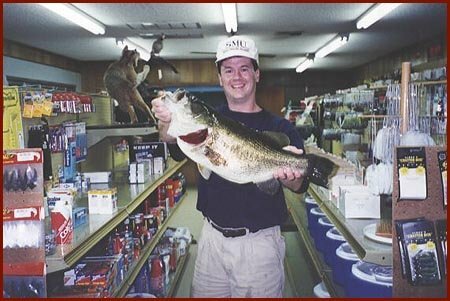 This is my largest fish. I caught her at night on a black jig with a Gene Larew 'Salty Craw' trailer. I was also using braided line (spider wire). After I had several pictures taken, I released her and she swam off in great condition. I had a nice fiberglass replica made of her to put on my wall.